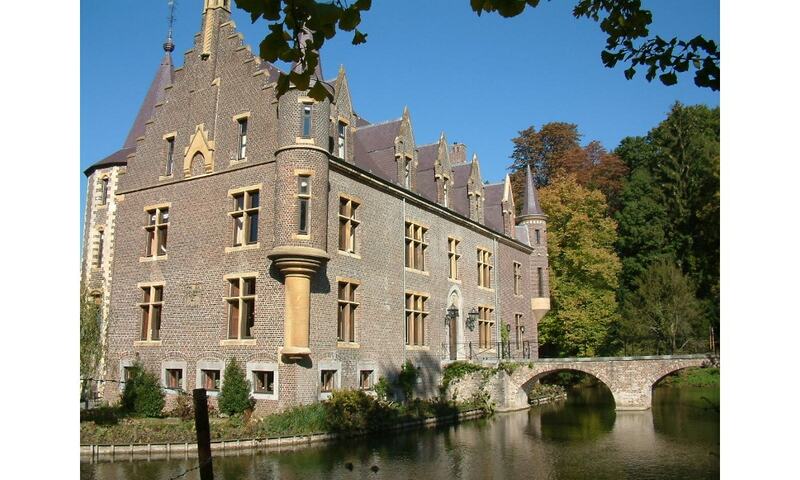 The castle has existed since the 14th century and has been inhabited by several noble families. Originally it was a square building, fronted by a round tower and a rectangular tower and built around a walled courtyard. Originally round, the tower was converted to an octagonal in the 17th century. The castle garden is a reconstruction based on a French rococo garden with roses, lavender and boxwood. The garden is a favourite wedding location and admission is free. The castle functions now as a hotel and restaurant.